One of the last thing I did in my room before heading back to school was purge my closet. I am finally at a point where I can get rid (or box) a lot of my things. 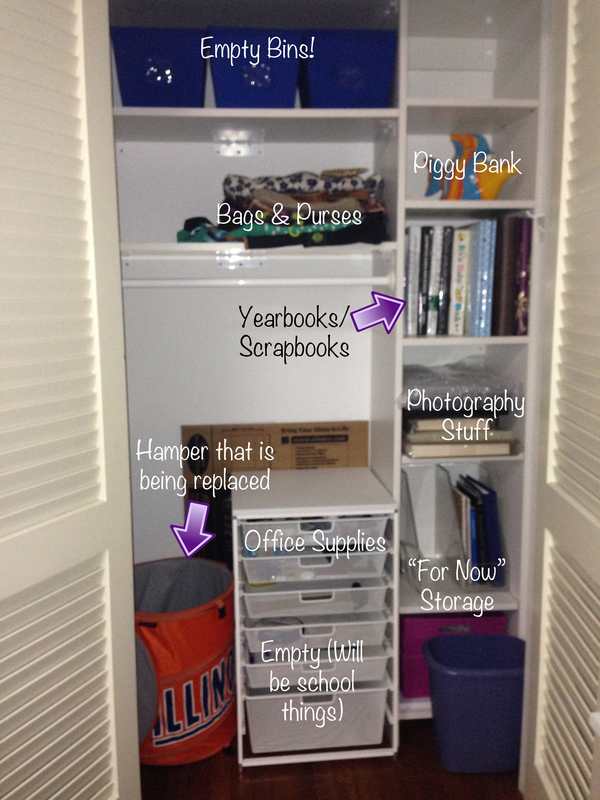 My closet went from full to almost empty! And now I have a huge pile of good will/thing to be sold! Seriously, it takes up a huge part of our living room “walkway”. 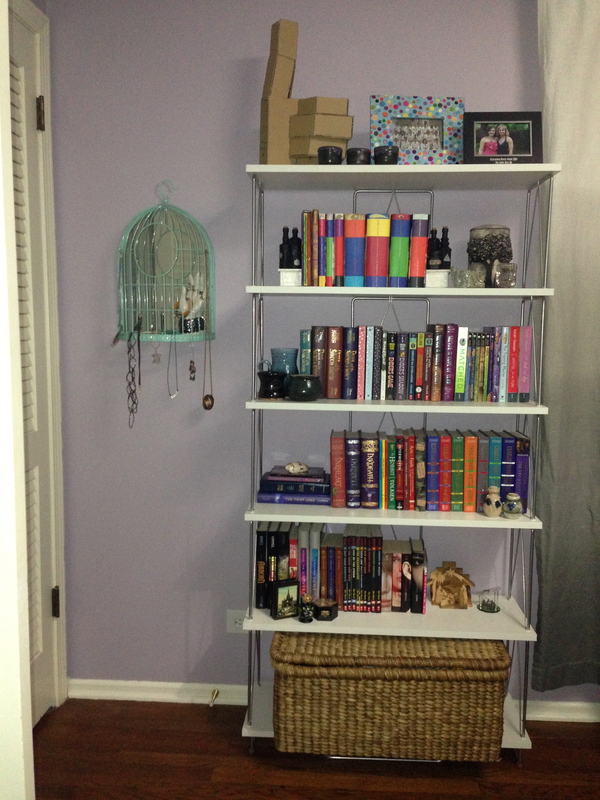 My sister also stylized by bookshelf for me now that I have more room for getting rid of a bunch of my books (after I made my DIY bookends) and we hung my mirror bird cage with my jewelry – which look beYOND awesome with the wall color, btws! So we have pretty much completed phase 1 of my room (except for the things that we need to get rid of still sitting in our living room…)! We will be able to do more when my futon and things from school come home. Stayed tuned!